With SpaceX announcing its first paying customer to the Moon, Virgin Galactic getting ready for its first space mission, and Blue Origin planning its own crewed mission in 2019, space tourism for the ultra-rich is launching off. But in order for this industry to literally take off, fully operational spaceports are an absolutely necessary component. In Part One, we looked at the legal foundation for spaceport licensing in the United States. In Part Two, I will explore the eleven currently licensed U.S. commercial spaceports. Before we begin, I should mention that while we are focusing solely on licensed commercial spaceport operators in this post, rocket companies can obtain their own FAA licenses as well; those licenses will typically be tied to specific launch sites for specific types of launches. For instance, SpaceX has several active licenses (e.g., here, here, and here) that enables it to launch its Falcon-family throughout America. Starting off with the most popular one, Spaceport America is probably the closest one to a household name on this list. Operated by the New Mexico Spaceport Authority, the spaceport is known as “the world’s first purpose-built commercial spaceport” as it was not converted or originally constructed as a part of an airport site or federal aerospace facility. With 18,000 acres and 6,000 square miles of protected airspace, Spaceport America can accommodate many commercial space enterprises, with its primary tenant being Virgin Galactic. While regular FAA-sanctioned commercial launches by Virgin Galactic from this spaceport has been envisioned (and are fully booked until 2021), these have been delayed by the unfortunate fatal crash of the VSS Enterprise; though, over the past few months, the program has had some positive momentum. Located on the Kodiak Island, Pacific Spaceport Complex Alaska is managed by Alaska Aerospace Development Corporation. With a catchy motto of “From the Last Frontier to the Final Frontier,” this spaceport has two launch sites and operates on 3,717 acres of state-owned land. The Pacific Spaceport Complex Alaska is described as the only “facility that can launch high inclination (63.4 degrees) missions without land over-flight and the requirement to resort to energy consuming dog leg flight segments” in the United States. Its primary customer is the U.S. Government with a significant of its launch contracts coming from the Missile Defense Agency. Formerly known as the Front Range Airport, the Colorado Air and Space Port is located in Aurora, Colorado. Receiving its spaceport license on August 17, 2018, this relatively new spaceport can only support “Concept X” vehicles launch operations. “Concept X” vehicles are designed to launch horizontally using jet power, like a conventional airplane, before switching to rocket power for its suborbital trajectory. Therefore, the type of launch contracts that the Colorado Air and Space Port could seek will be limited by its operational capabilities. 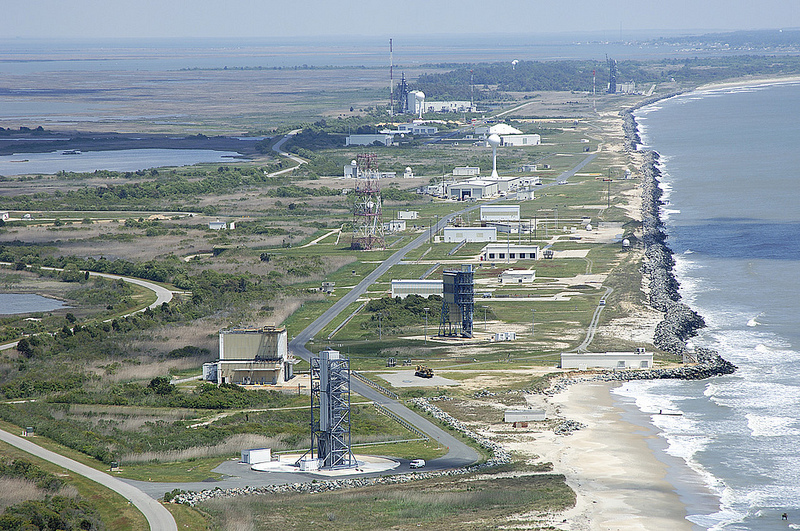 Located on Wallops Island, Virginia, the Wallops Flight Facility is managed by NASA and is used for both Governmental and commercial flight operations. Established in 1945, the Wallops Flight Facility has performed over 16,000 rocket launches. On these grounds, the spaceport facility, known as the Mid-Atlantic Regional Spaceport, is run by the Virginia Commercial Space Flight Authority and is located on the southern edge of Wallops. The spaceport currently has two launch sites; but recently, Rocket Lab USA has selected MARS as its second launch site (first launch site in the United States) and will be building a new complex with a first launch planned for third quarter of 2019. Operated by the East Kern Airport District, the Mojave Air and Space Port is the nation’s first spaceport licensed for the horizontal launch of reusable launch vehicles. With 2,998 acres, this spaceport operates as the test site for many space commercial enterprises such as Masten Space Systems and Virgin Galactic. The spaceport is also known as the “Civilian Aerospace Test Center” and is the home to SpaceShipOne, the winner of the Ansari X Prize as the first privately-designed reusable spacecraft launched into Outer Space. Operated by the Harris Corporation, the California Spaceport uses Space Launch Complex 8 on the Vandenberg Air Force base. The FAA license for the California Spaceport enables it to perform launch activities of payloads of less than 3,300 pounds. However, it’s worthwhile to note that while SpaceX also perform launch activities at Vandenberg Air Force base, it’s not at the California Spaceport; SpaceX has its own launch facilities, leasing the base’s Space Launch Complex 4 for its Falcon 9 launches and booster landings. Located near Burns Flat, Oklahoma, Oklahoma Air & Space Port is managed by the Oklahoma Space Industry Development Authority. The spaceport’s multi-use facility encompasses over 2,700 acres with 1,000 acres available for expansion. This spaceport has the only FAA approved Space Flight Corridor in the National Airspace System that is not within restricted airspace or Military Operating Areas. Operated by Space Florida, Space Launch Complex 46 (“SLC-46”) is one of the launch complexes in the famous Cape Canaveral Air Force station. While a governmental facility, Cape Canaveral has also leased many of its launch complexes to other commercial rocket companies such as SpaceX and Blue Origin. Located on the eastern edge of the Air Force station and just above the lighthouse, SLC-46 is permitted to operate both governmental and FAA licensed launches. One launch that is already planned for SLC-46 is NASA’s Ascent Abort 2 test flight for the Orion Capsule as a part of the NASA’s SLS Program. Located in the Ellington Airport, the Houston Spaceport is operated by Houston Airport System. This spaceport became the tenth commercial spaceport in the United States when FAA granted its launch site license in June 2015. While this emerging spaceport is still seeking commercial opportunities, it was on the cusp of winning a contract for the construction of a Blue Origin’s rocket engine manufacturing facility in 2017 before losing out to Huntsville, Alabama (which has a significant space industry presence). However, with the Houston City recently approving $18.8 million in funding for basic infrastructure constructions at the spaceport, the Houston Spaceport will likely be a significant player in the development of U.S. space industry for years to come. Located in Jacksonville, Florida, Cecil Spaceport is owned by the Jacksonville Aviation Authority. This spaceport is currently the only licensed horizontal launch commercial spaceport on the East Coast of United States. Although seemingly to play second fiddle to its big brother at Cape Canaveral, officials at Cecil Spaceport is expecting a space launch by late 2018 or early 2019. Additionally, DARPA has identified the spaceport as one of the eight sites for its Launch Challenge. Owned by the City of Midland, the Midland Spaceport is located on the 1,680-acre Midland Airport in Texas. However, proving that the spaceport business is still fraught with uncertainties, both of its first commercial tenants, XCOR Aerospace and Orbital Outfitters, have either declared bankruptcy or gone out of business recently. But, the City of Midland still believes in the success of the spaceport and recently, by a 6-1 city council vote, approved a $100,000 expenditure for the spaceport’s license renewal.